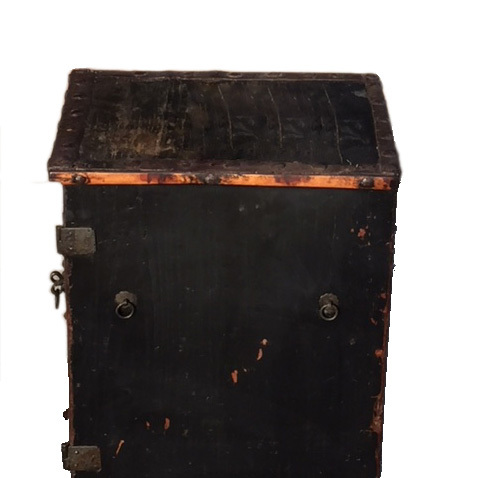 （清中早期帶竹邊黑漆小書箱）This is a rare and older antique small traveling style northern Chinese manuscript storage chest that was used to store rice paper bound manuscripts. It is constructed on a higher base as one piece and has shelves & drawers inside. 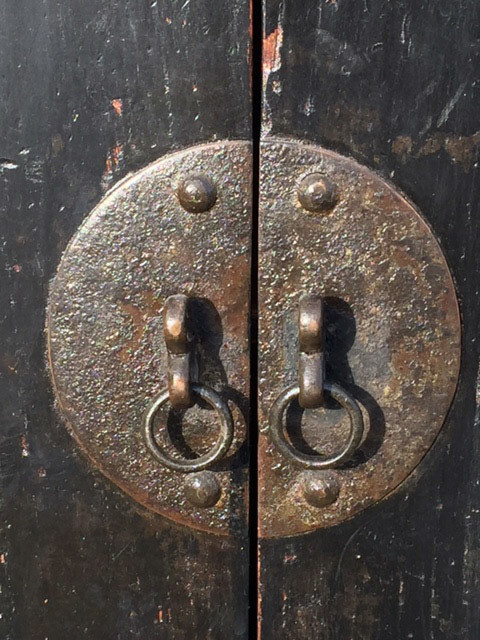 This chest, possibly from the early Qing, has the original old black lacquer & iron fitting at the edges of the chest at the top and the bottom. One or two of the hinges on the doors were replaced. 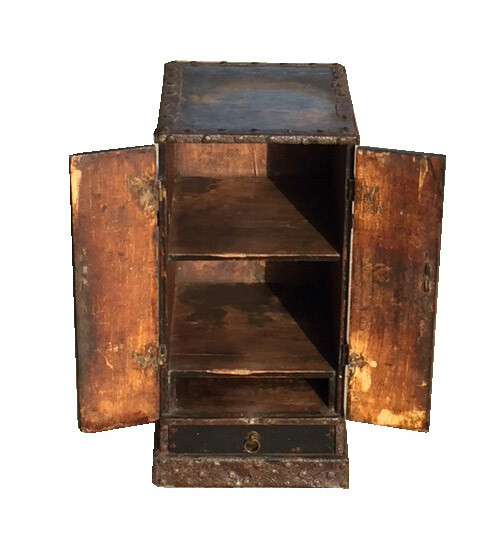 This chest with an unusual proportion has bamboo trims on the two sides of the top which adds elegance to the piece and also suggests where this chest might have come from. The bamboo trims also prevent the strapping ropes from being cut off by the textured rough metal from the long journey as one can see that there are two metal loops on each of the two sides of the chest for strapping ropes when traveling. One can only imagine the stories accompanying this chest along the journey! 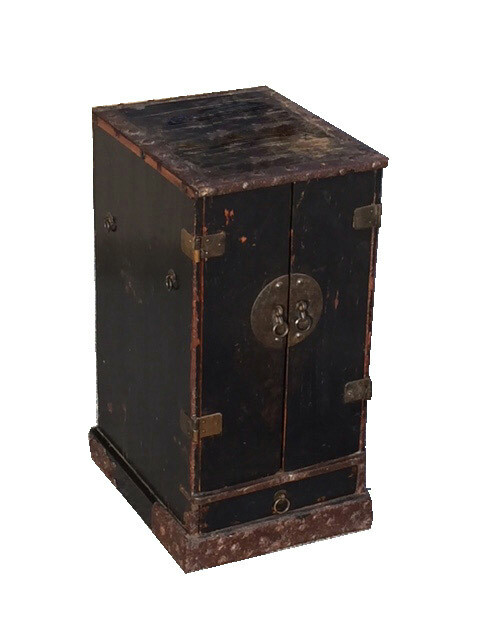 Small narrow and tall chest like this one not only makes a great stand in modern day's decor, it is also an intimate personal companion in one's everyday life to enjoy.